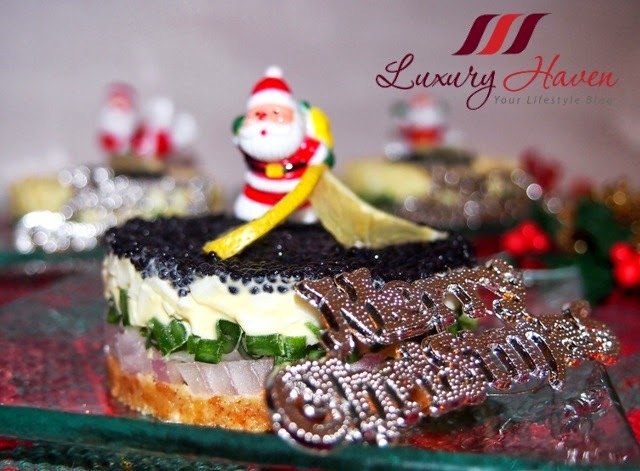 Caviar lovers, fall in love with this festive party recipe that's easy to assemble, yet so yummy and impressive! 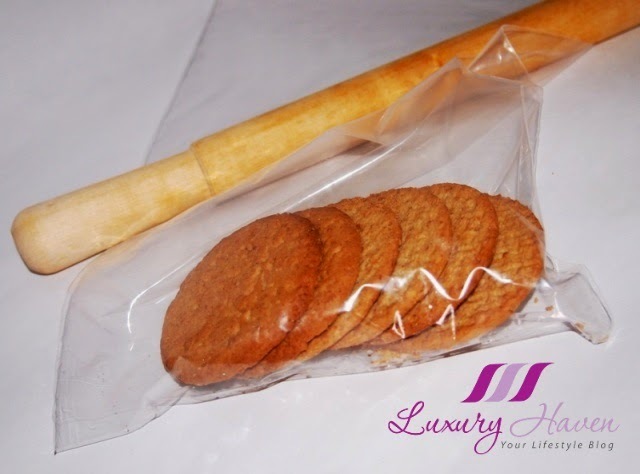 I first began to indulge in this delicacy when I was in my 20s, during my flying days with Singapore Airlines. 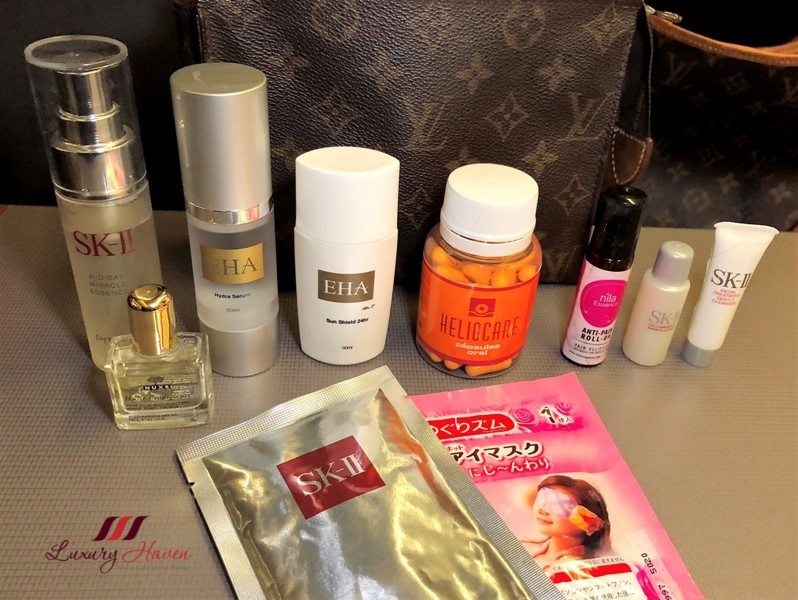 This is one of the courses served to the first-class passengers, accompanied by Vodka or the Dom Pérignon Champagne. Although I've posted quite a few Caviar Recipes previously, I shall now touch more on the traditional way of serving this gourmet starter for the benefit of those who are new to this dish. 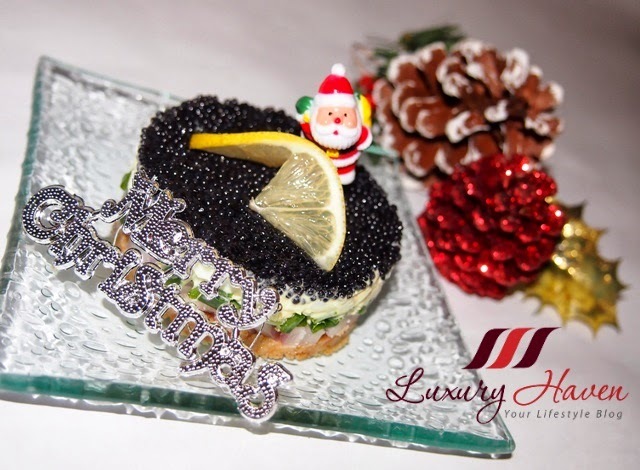 Classic caviar service is simple and elegant. It should be served simply with blini or toast points and lemon wedges. 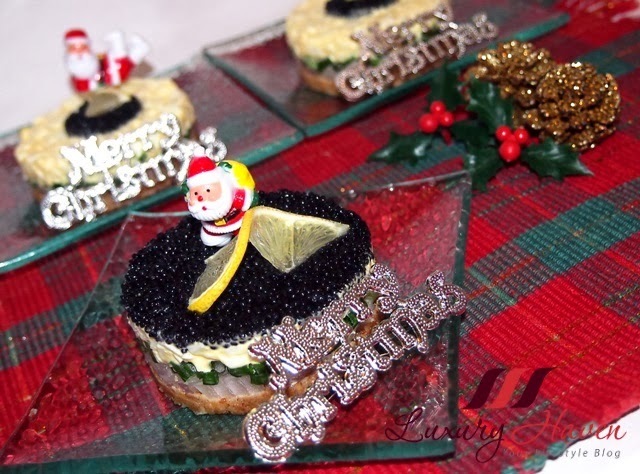 In SIA, the crew serve caviar with melba toasts. Standard garnishes include chopped hardboiled eggs; chopped onion; fresh herbs like parsley, dill, or chives; sour cream or creme fraiche. 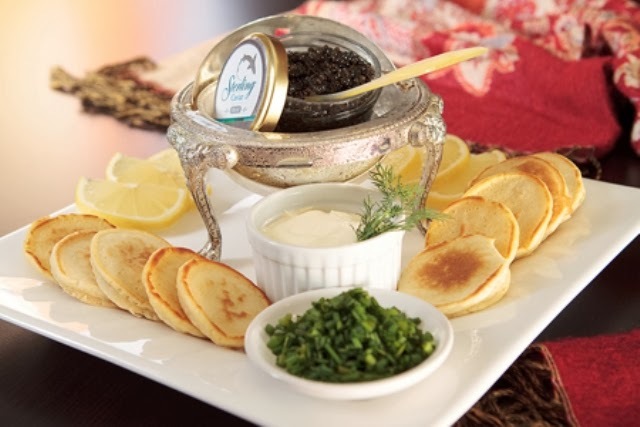 There're different grades and types of caviar, but the finest caviar should neither taste fishy nor overly salty. Connoisseurs look for shiny, fine-grained egg globules. When handling caviar, always be careful not to crush any of the eggs as you spoon the caviar out of the tin, as this will release oils too soon and spoil the taste experience. 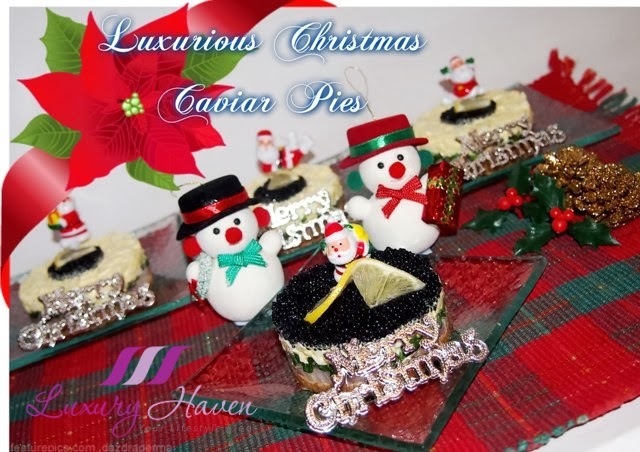 For my recent Christmas gathering with my girlfriends and hubby, I decided to make Caviar Pies as the hors d'oeuvre for my guests. Come, meet my two lovely guests - Anita and Elena! Basically, I employed the same method as making my Non-bake Cheesecake to form the base of the pie, and then assembling the accompaniments by layering them into a Caviar Pie. As I was pressed for time, and spreading the caviar on the pie took time as I'd to be very gentle to avoid crushing the roe, I decided to do smaller circles instead of a big one like I did on my first attempt. Guess who's the lucky one to get the full caviar pie? My son, of course! He's a huge fan of caviar and enjoys spreading them on bread for his breakfast. 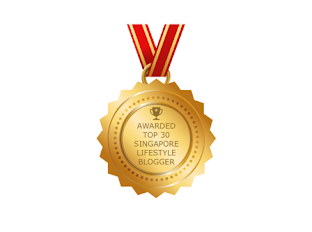 Talk about indulgence! Lol! That being said, my hubby commented that the portion of the caviar was too small, which I felt likewise. I shall put aside more time next round, and ensure the entire pie is well covered with caviar. 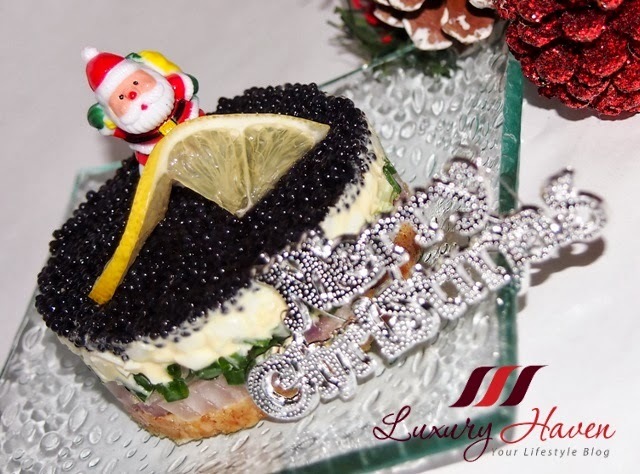 Although indulging in caviar should be a bewitching experience, its unique flavour can make eating caviar for the first timer a challenge. 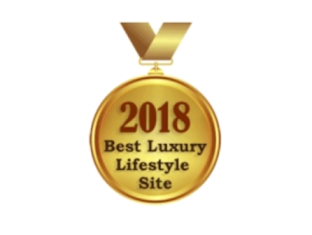 Caviar should also be served and consumed in quantity smaller than a tablespoon. It's a traditional etiquette to taste caviar in small bites. Before the caviar service, always place the serving plates or bowls in the refrigerator 1 hour before serving the caviar. This will ensure the plates are thoroughly chilled by serving time. 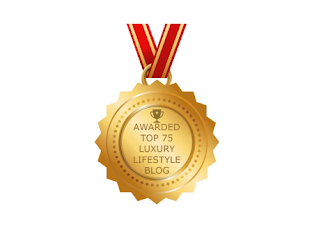 *Tip: Don't pig out if you're a guest just because caviar is expensive. 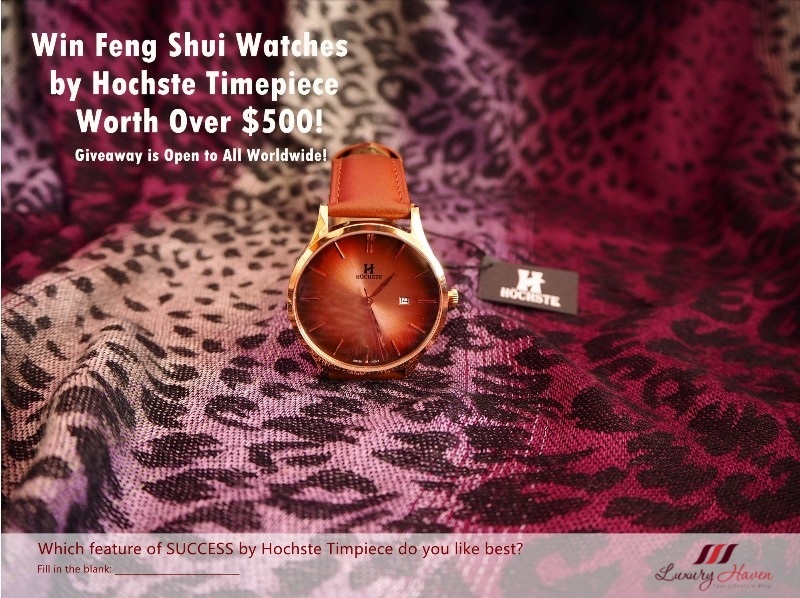 You definitely won't like to be considered gauche to be eating more than the ample serving. 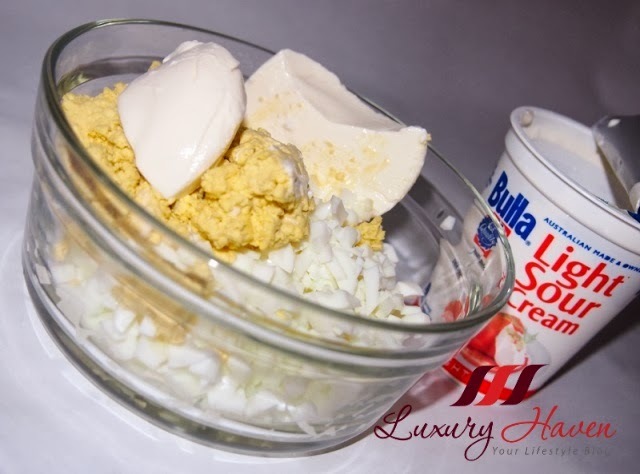 Diced eggs and mix with pepper, sour cream and mayonnaise. Put biscuits in a plastic bag and seal. Using a roller, smash the biscuits. 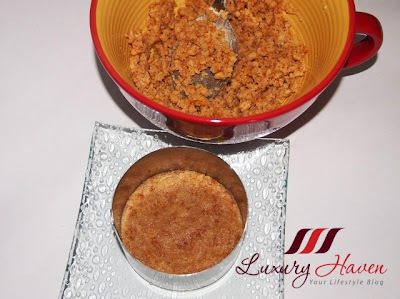 Mix biscuit crumbs with butter. Using a mini cake ring, pressed the crumbs onto a chilled serving plate to form the base. 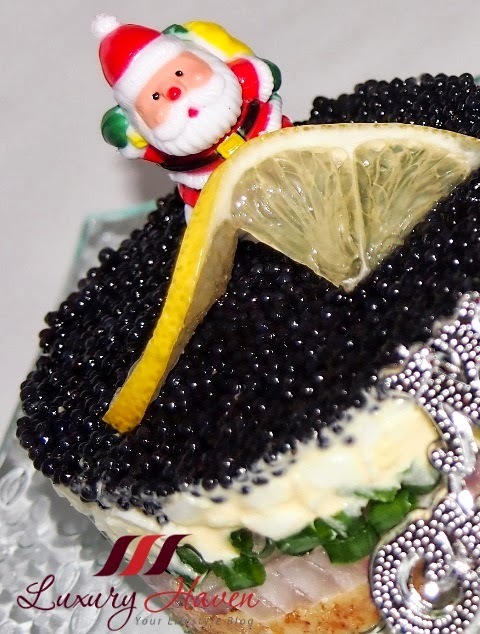 Next, layer garnishing according to your preference of order to get your gorgeous-looking Caviar Pie for Christmas! 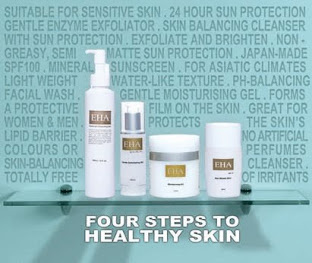 Here are couple of places in Singapore to buy good caviar: Delicia, Gourmet Shop and Blue Duna. 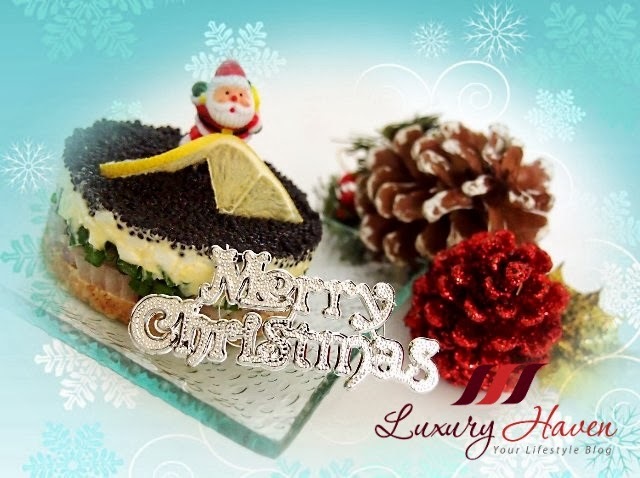 Here's Luxury Haven, wishing all readers a Merry X'mas and a Happy New Year! OMG! Look at the amount of caviar on the pie and you are saying it's too small a portion. Wishing a Merry Christmas and a happy and prosperous new year, in advance ! 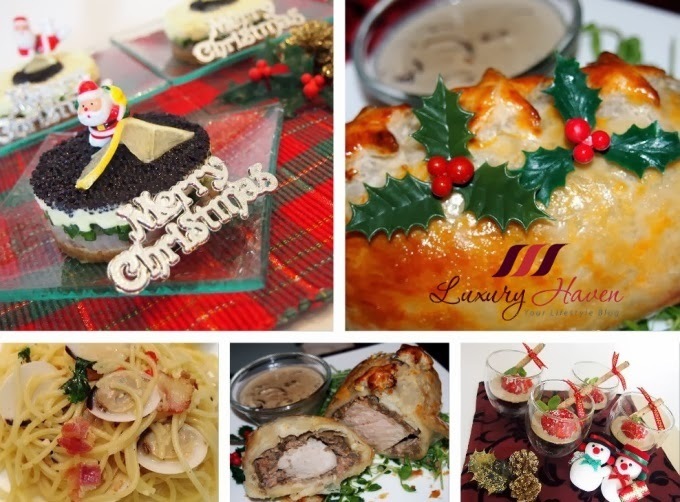 If things are so yummy like this for Christmas how awesome would be the new year feast ! Rajiv, it's so nice to hear from you! Where have you been?? Here's wishing you & family a happy holiday! 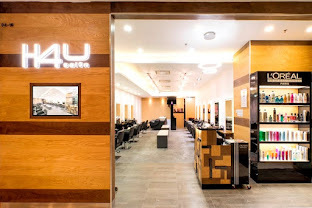 Uru, thanks & have a wonderful holiday too! Luscious and lovely. I like the simplicity of the pie. But no matter how hard I try, caviar wouldn't go down my throat. Henry, thanks dear & Happy Holidays to you too! Merry christmas and happy holidays then, God blessed you all the way! Dedy, so delighted it captured your attention too! You have a blessed holiday too! WOW the amount of caviar on the pie :) that's so generous. Now I feel like having a piece of pie. What an interesting pie! Happy Holidays to you dear friend! Bal, happy holidays to you too dear! 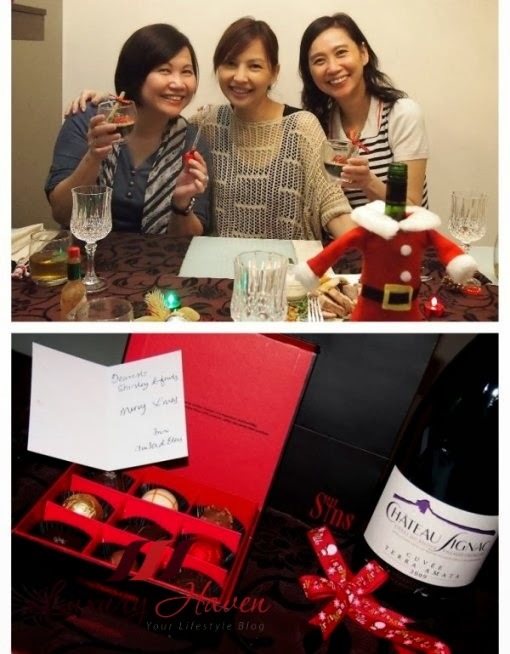 OS, thanks & Merry X'mas! 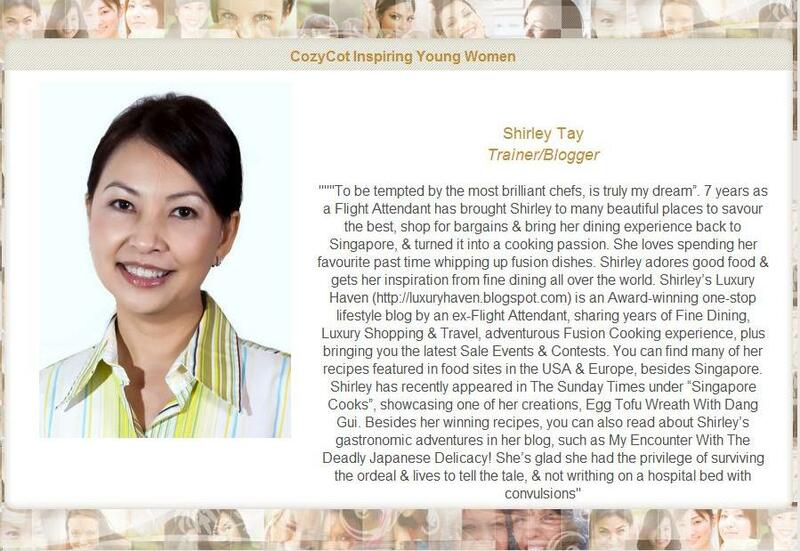 The Caviar Pie is Really Very Christmas-sy, Shirley! :) So nicely done and decorated... ! Reana, thanks! It certainly adds some festive cheer! Oh dear. That one piece of expensive cake!! I am drooling over it. Tasted caviar before but never on a cake. Sharon, happy holidays to you sweetie! Thanks & enjoy your party too! Kathy, here's wishing you a Happy 2014 too! looks super yum...First time here...Happy to follow you..
BB, thanks for following & Happy 2014! What a decadent recipe - Happy New Year! CJ, thanks & Happy 2014 to you too! Sorry to have missed your greetings. Have fun cooking!